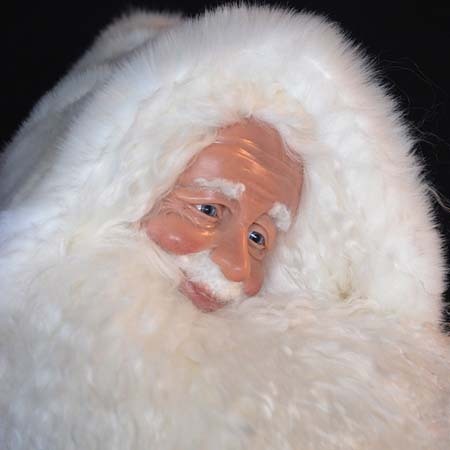 Arctic Sparkle Santa is an exquisite 26-inch Arctic Santa figure, dressed in a full, luxurious white faux fur coat, embellished with white pig suede boots and cummerbund. 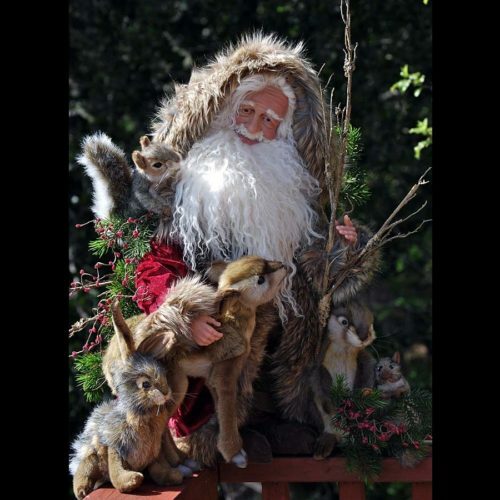 His gentle face is hand sculpted with polymer clay, making him a one-of-a-kind Santa figure. His eyes are Victorian blue, and his beard is made of soft Tibetan wool. Beside him is a lit frosted pine tree, which creates that extra, bit of sparkle. He is joined by a handcrafted, realistic-looking polar bear. 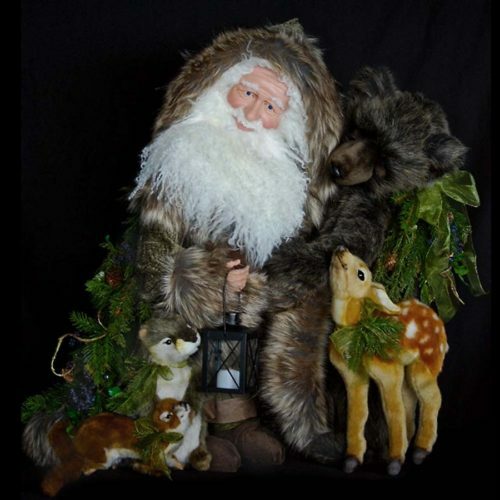 His bear friend carries white suede packs on his back, with each pack overflowing with beautiful Christmas ornaments and decorations including: glass ornaments, angels, fairies, bears, bottle brush trees, and frosted greenery and branches. 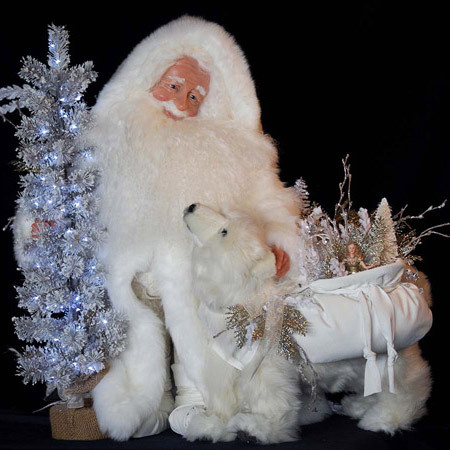 As with all Stone Soup Santas, Arctic Sparkle has a garland of frosted, sparkly greenery and branches on his back. 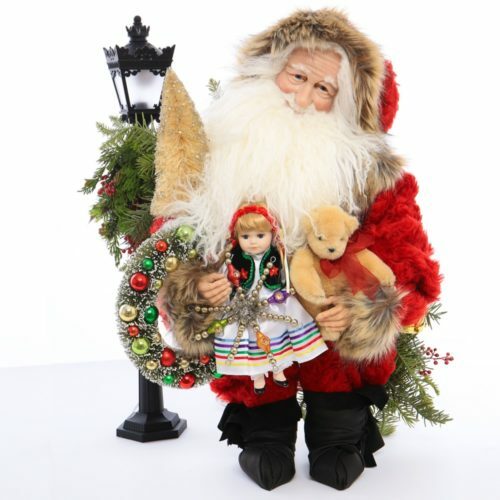 This frosty Old World Santa is signed and dated under his beard and is sure to be a wonderful addition to your Santa collection.